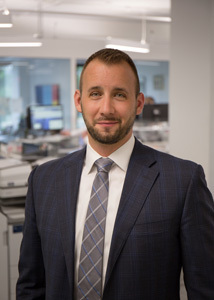 Nathan Crowe joined Scheer Partners in 2006 with a market focus in Bethesda, Rockville, Gaithersburg, and Germantown. His scope of services includes the negotiation of acquisitions & new leases, lease terminations, renewals and extensions, and market analysis. During the last half-decade, he has successfully negotiated and completed sale & lease transactions totaling over 1,000,000 square feet of office, laboratory, and medical space. Mr. Crowe holds a Bachelor of Arts Degree in managerial economics from Allegheny College. He is actively involved with the Special Olympics of Maryland as a two-sport coach, and he is also a member of the Montgomery Masters Golf Committee.